Around this time of year, people everywhere get excited for Black Friday and Cyber Monday shopping deals. After these materialistic holidays comes Giving Tuesday, a social media event that brings awareness to helping others right before the Christmas season. The Regina Police Service got involved this year by partnering up with Family Services Regina to help spread their message. Regina Police Chief Evan Bray said their partnership with Family Services Regina is unique. 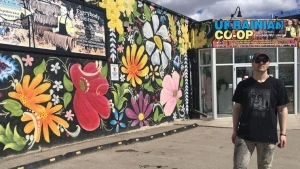 “(Our) partnership with Family Services Regina allows us to provide kind of that wrap around service where there’s extra counselling and follow up that’s provided to the victims, and offenders in some cases,” said Bray. 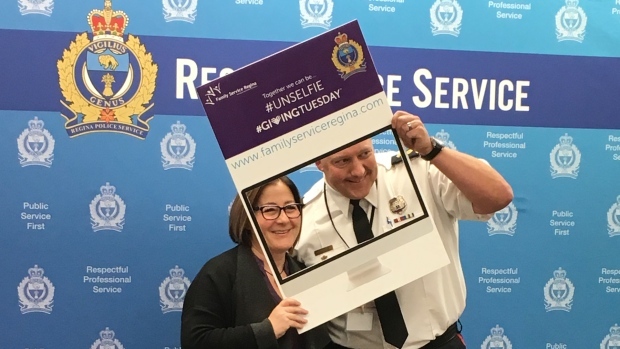 Regina police will be sharing “unselfies” to help the organization raise funds for its programs related to domestic violence, teen pregnancy, and counselling services. Police also hope to raise awareness of the need for such services in Regina, which has the highest rate of police-reported partner violence in Canada. Police and Family Services Regina would like to see social media posts of everyone donating and using the hashtags #GivingTuesday, #TogetherWeCan, and #UNSELFIE to keep the giving going.